TACFIT stormed the world and earned the distinction of "World's Smartest Workout." Part of the reason is the high-concept intelligence layered invisibly into the ease of use in data tracking, biofeedback, recovery methods and progressive motor simplicity. You feel better as well as move better, stronger, faster and longer. 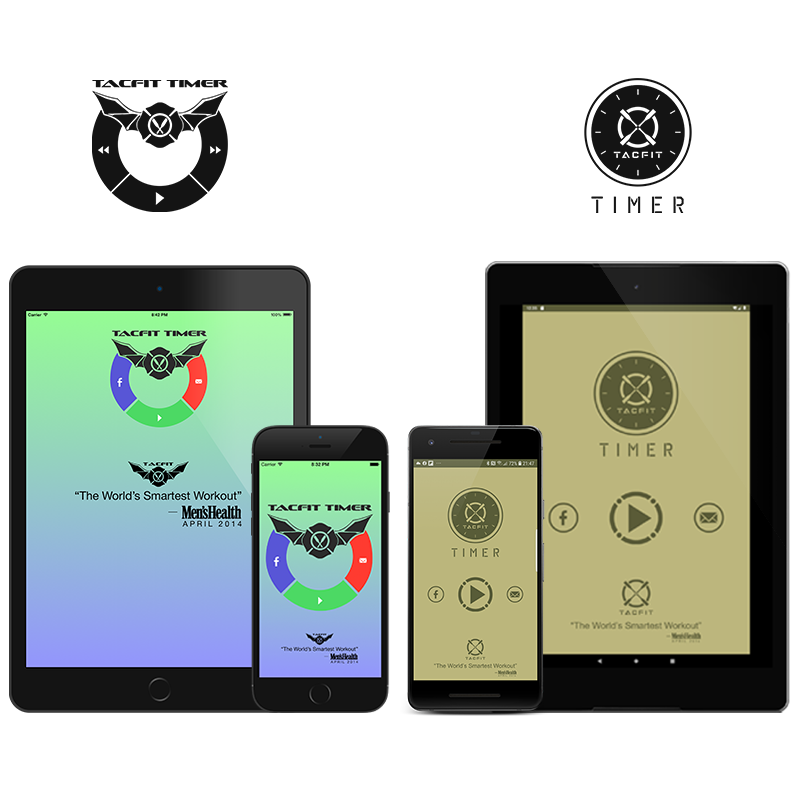 TACFIT Timer 2.0 takes the intelligence in the System and elegantly provides you with an interactive "coach" which guides your performance and recovery using visual and audible cues based upon neuro-linguistic programming. No other exercise timer has incorporated the broad spectrum of multiple learning styles into its technology like TACFIT Timer 2.0. It will quickly become THE STANDARD for tactical fitness, where not a second can be wasted on frivolity, complication or neglected consideration. We are grateful to bring you a carefully considered feature set based on our research and your feedback of previous TACFIT Timer versions. THANK YOU for your valuable input and expect to see this list grow include more of your suggestions. 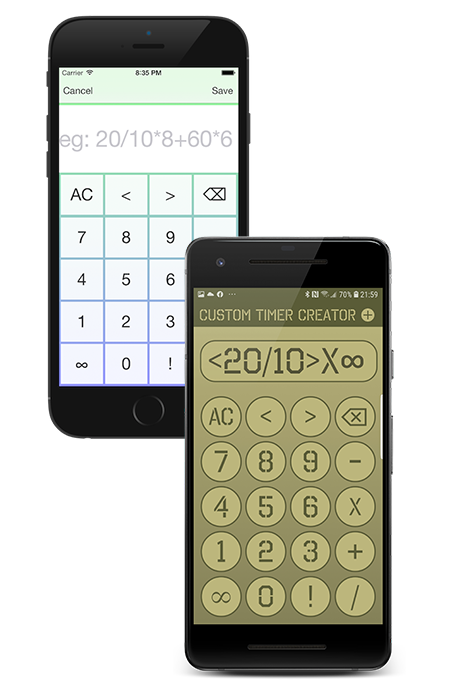 Quickly and easily create complex timers using our new Quick Code Custom Timer Creator. Here are is a quick start guide to creating your custom timers. What features you would love to have included? Give us some feedback let us know how we may help you on your journey to a better you.